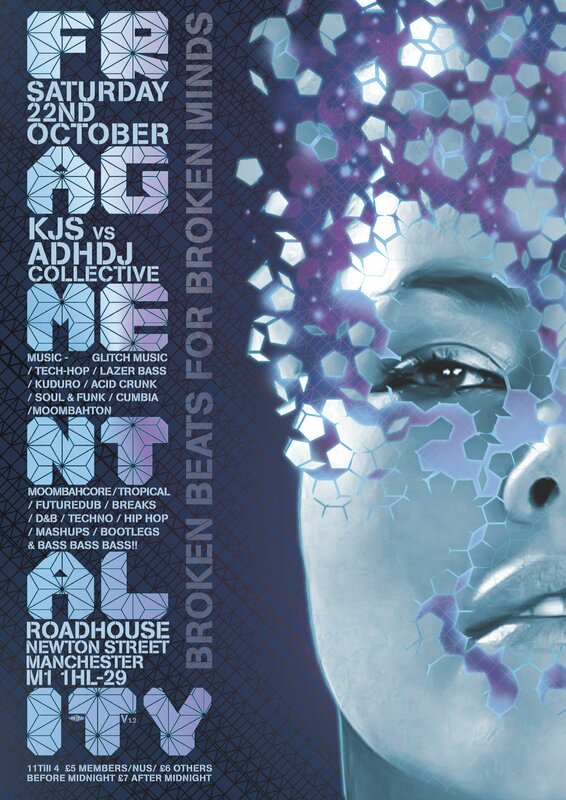 The Robot Bodypop DJ’s will be playing at the Roadhouse, Newton Street, Manchester this Saturday the 22nd of October alongside the mighty audio trio the KJ’s, child prodigy and incredibly talented dubstep DJ/producer METRODOME as well as Glitched and Eclectic styles from DJ Mark Penance Farrel. The music policy is future oriented – Almost anything goes as long as it makes you MOVE!! See the facebook page for more details and also links to buy tickets (£5 plus booking fee). See you down there for some genre-hopping bass-fuelled madness! 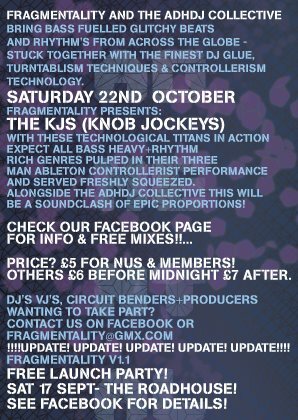 This will be a monthly night every 3rd Saturday of the month – keep your browsers locked onto this page more news! This entry was posted in News & Events and tagged bass, club, dj penance, fragmentality, free, madam x, manchester, metrodome, monthly, night, nightclub, only, party, roadhouse, robot bodypop, rsvp by 1nejack. Bookmark the permalink.